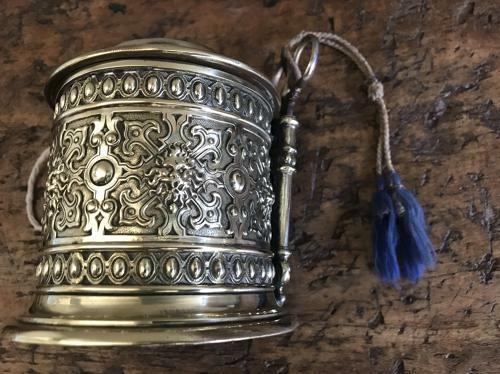 Ornate Victorian Brass String Holder with scissors. Lovely condition, very decorative and also useful! These stood on shop counters and used to wrap parcels. Condition is good, minor rim dent but hidden from view with lid in place. I think the scissors are original as they fit well however think these were originally only gilded gold as have worn through more to steel now.